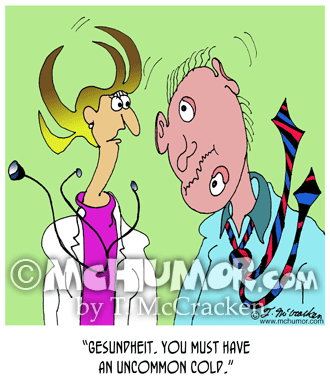 Doctor Cartoon 7796: As a fellow sneezes and completely rearranges his face a doctor says, "Gesundheit. 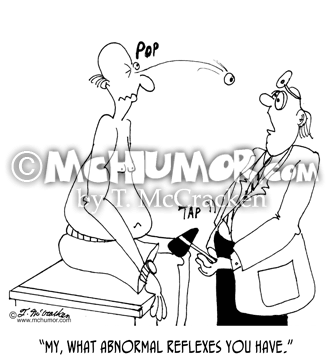 You must have an uncommon cold." 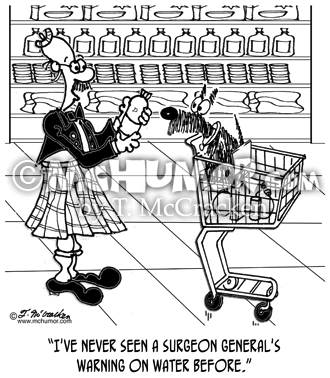 Water Cartoon 7812: Looking at a food label a man says: "I've never seen a Surgeon General's warning on water before." 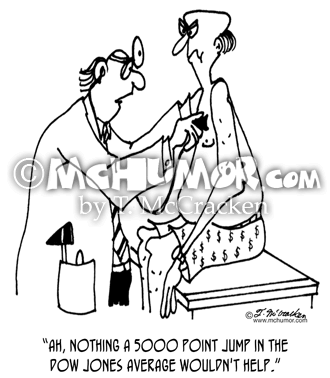 Stock Cartoon 3972: A doctor saying to an executive he's examining, "Ah, nothing a 5000 point jump in the Dow Jones average wouldn't help." 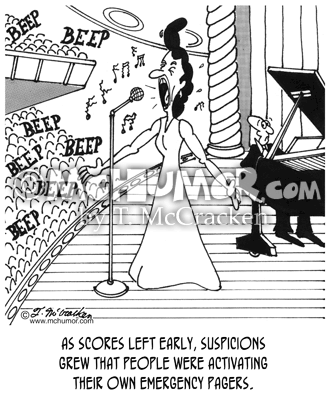 Singing Cartoon 3180: "As scores left early, suspicions grew that people were activating their own emergency pagers." A bad singer sings while beeps fill the theater. 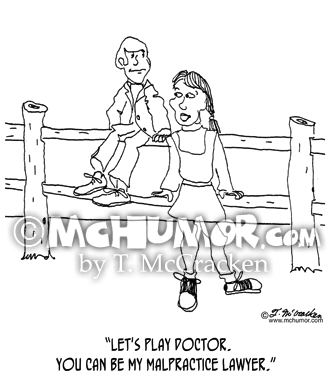 Medical Cartoon 0217: A girl saying to a boy, "Let's play doctor. 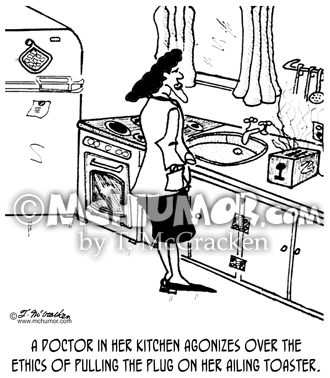 You can be my malpractice lawyer." 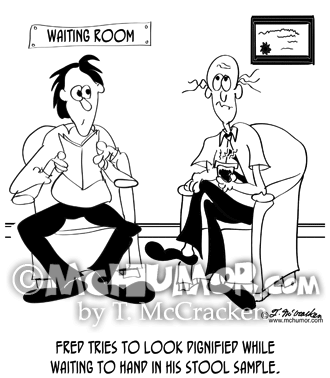 Doctor Cartoon 8766: "Fred tries to look dignified while waiting to hand in his stool sample. 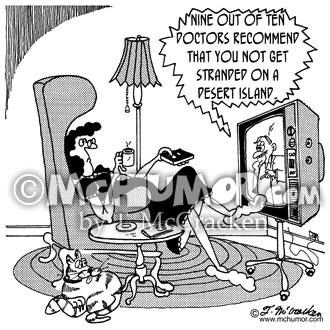 "An embarrassed man in a doctor's waiting room holding a steaming cup. 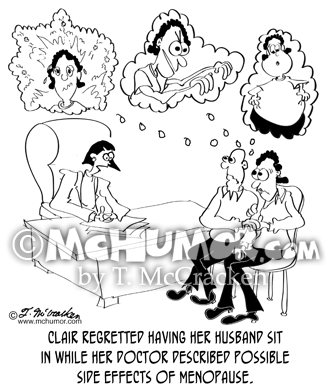 Menopause Cartoon 8859: "Clair regretted having her husband sit in while her doctor described possible side effects of menopause." 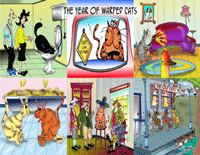 A man looks horrified and imagines his wife turning into a monster.